From 'Wervelaantje' toll road, with beautiful trees in the aisle, to the busy main arterial road that it is today. A view of Laan van Nieuw Oost-Indië with the Juliana van Stolberglaan on the left (approx. 1914). 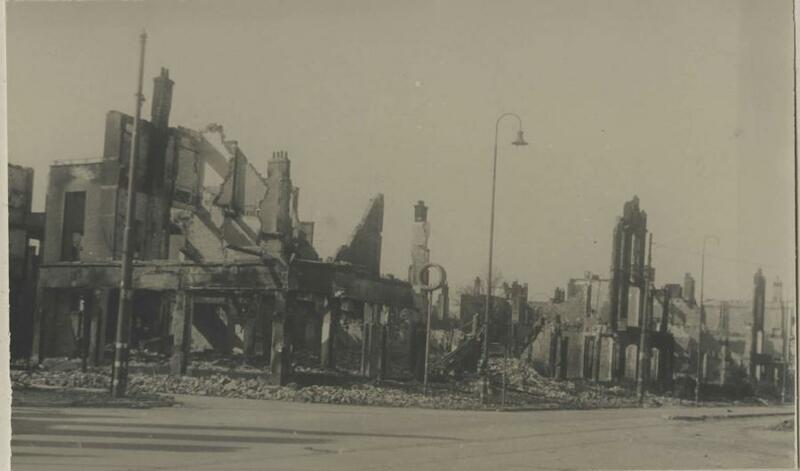 A view of the corner of Juliana van Stolberglaan and Laan van Nieuw Oost-Indië after the bombing. 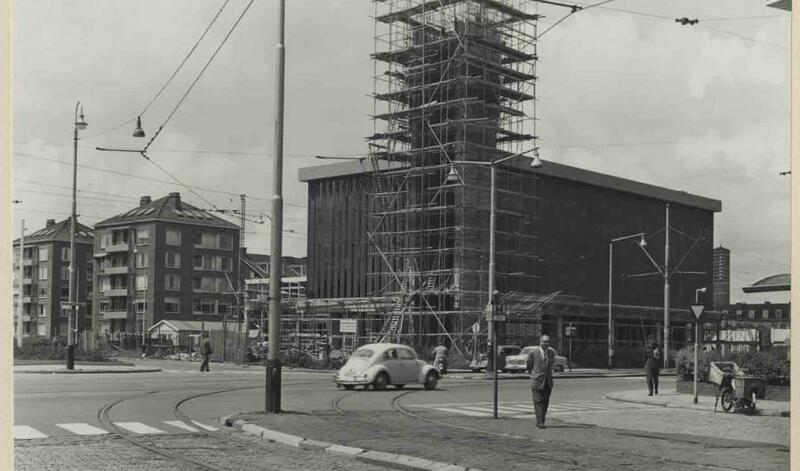 The Christus Triumfator Church under construction (1961). A toll road, the Wervelaantje, passed this intersection in the seventeenth century, leading to Huis de Werve in Voorburg. 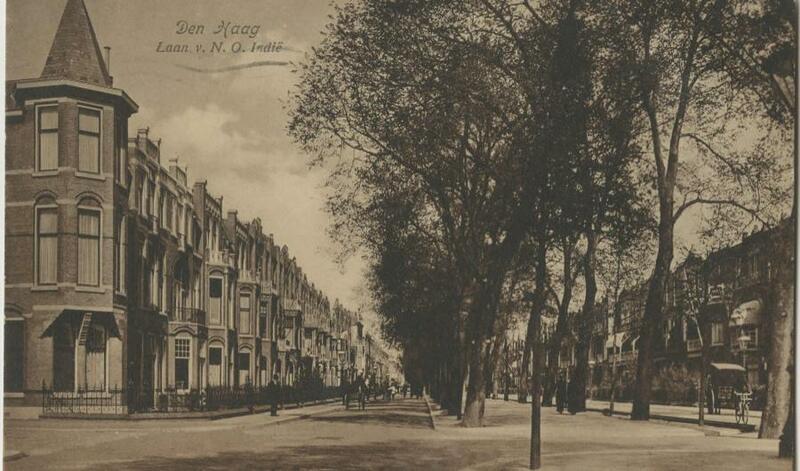 The construction of Bezuidenhout was so far advanced in 1894 that the road was widened and renamed Laan van Nieuw Oost-Indië, after the nearby inn 'Nieuw Oost-Inje'. Large mansions were constructed along the 'Laan van NOI', as it was popularly known, starting from the Bezuidenhoutseweg. 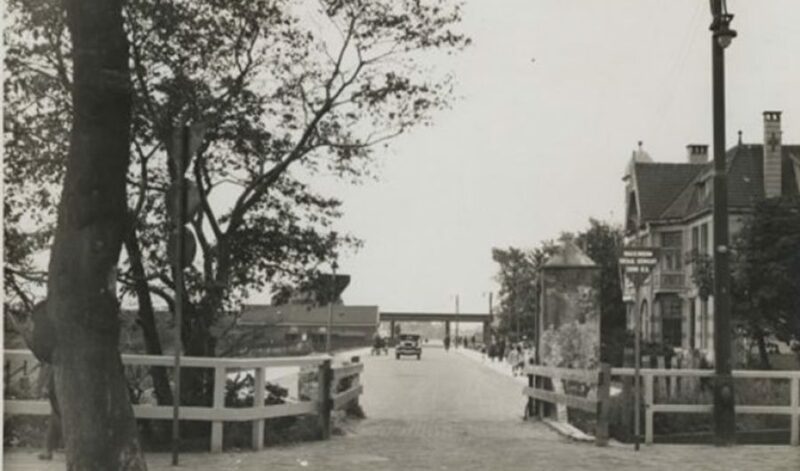 The amount of traffic increased rapidly after the tolls were abolished in 1928. The avenue had to be modified to deal with the increasing flow of cars, even before the war. The row of trees, that dated back to the start of the century, was cleared in 1938 and the avenue became a thoroughfare. 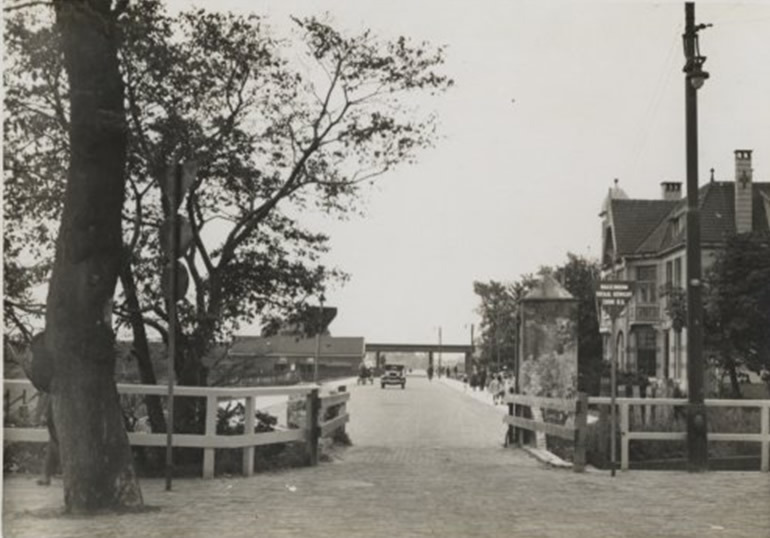 The Juliana van Stolberg recovery center was across the street − the corner building in the left-hand photo. This house was converted to a shop for luxury household items and toys in 1934. The Reformed Christus Triumfator Church was built on this site in 1961. Some of the pre-war grandeur of Laan van Nieuw Oost-Indië can still be seen between Juliana van Stolberglaan and Schenkkade. "in night dress up slippers"
From the diary of Mrs M.J. Lagaay-Braam, 30 years old at the time of the bombing. 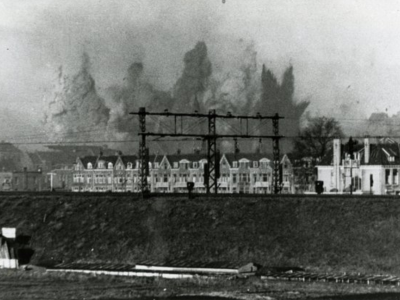 The toll house was standing at the Laan van NOI, right at the railway bridge to Voorburg. The Canadian soldiers arrived at the Laan van NOI with a stoot of tanks.